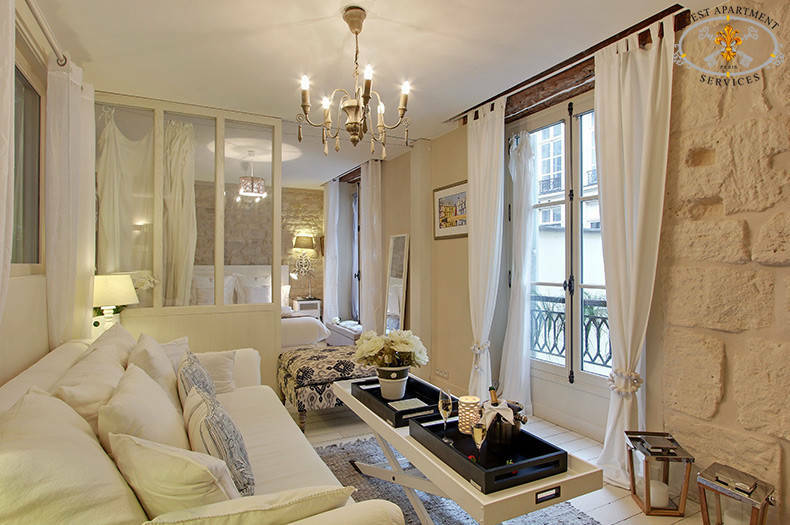 White Orchid has the distinct feel of a seaside cottage in the middle of Paris. 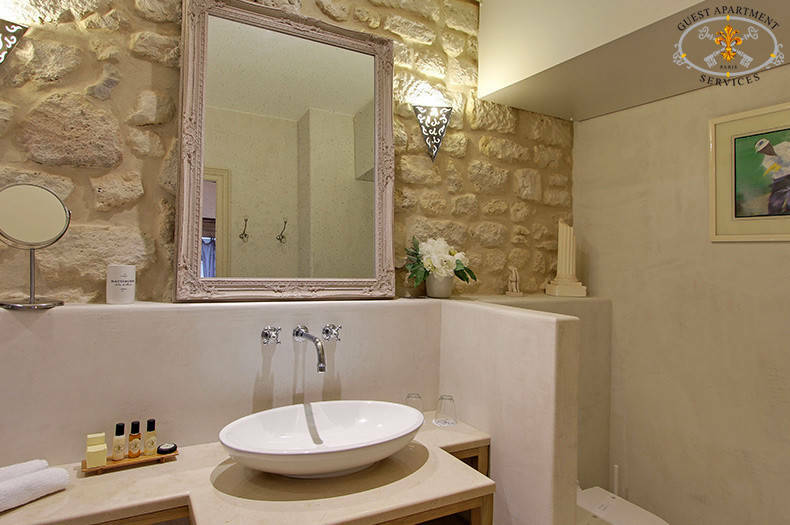 The white decor blends with the original 17th century stone to create a light and breezy mood. 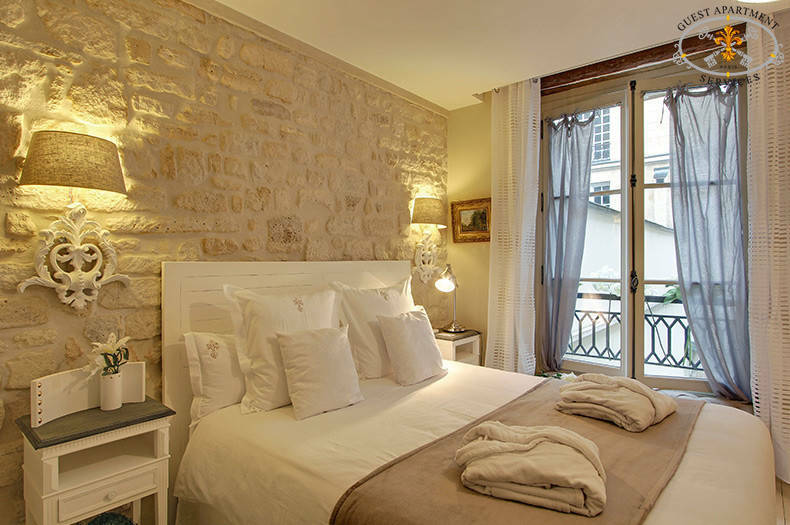 Because of its optimal location, Ile Saint Louis is a much sought after neighborhood by Parisians and foreigners alike. All the shopping convenience are present on Isle Saint Louis: A pharmacy, a post office, a news agent, bakeries and pastries, the famous « Berthillon » ice creams, groceries and other fine shops. Other services, traditional restaurants and brasseries, cafés, art galleries, shops with fresh products are to be found on the Isle. The Isle is organized in such a way that it feels like a small village inside of Paris. 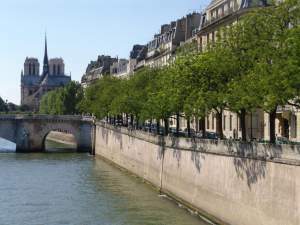 All the most important and attractive places are located close to the Isle Saint Louis : The Louvre Museum, The Pompidou Center, the Left Bank and Latin Quarter, the Sainte Chapelle, and all within a close radius and easy to get to by foot. The metro station is within a 5 minute walk to « Saint Paul » on line 1, the main metro station is direct to these places. Located on the first French floor in the courtyard of a quiet building. 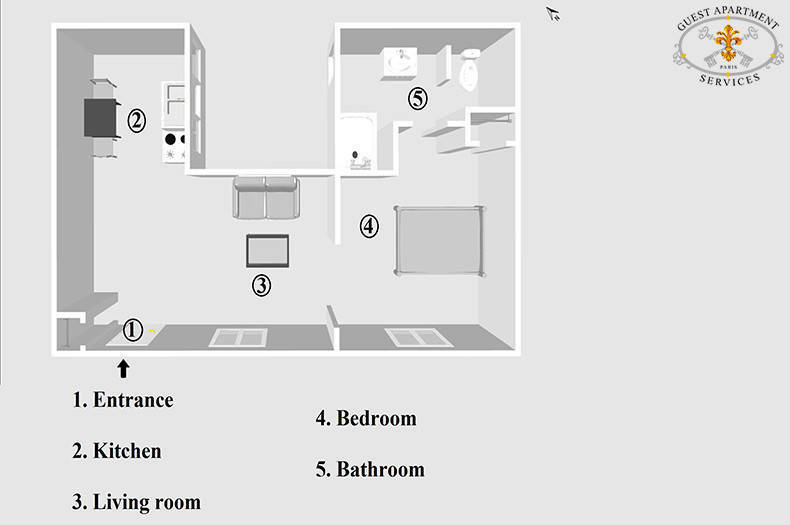 Complete security with door code and intercom device. In the bedroom one can find a Queen size bed as well as additional storage for clothes. 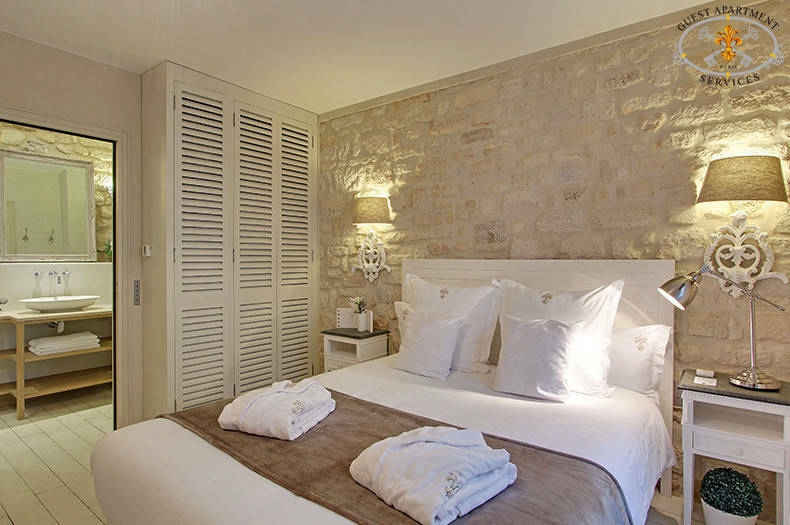 The bathroom is appointed with a walk in shower as well as a wash hand basin, a towel warmer and lavatory. 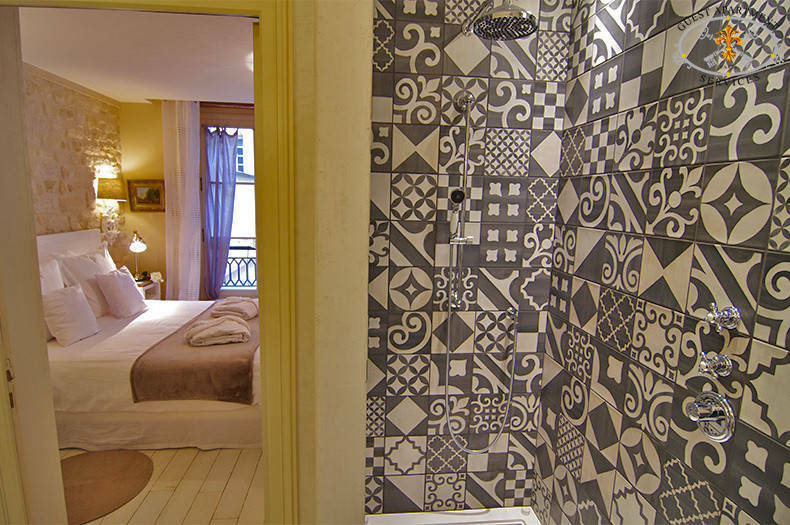 This apartment for rent is ideally located at the very heart of Paris, a couple of blocks away from Notre Dame de Paris. 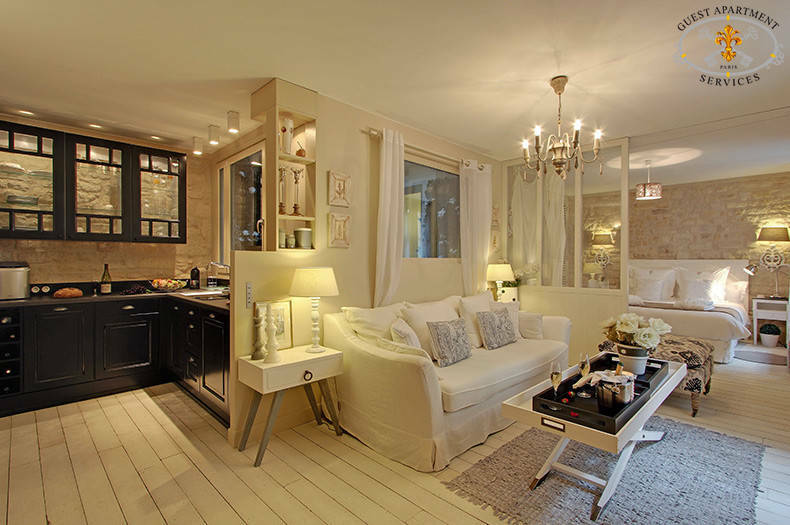 40 square meter (430sqf) of surface very well appointed, entirely bathed in natural light with large windows. 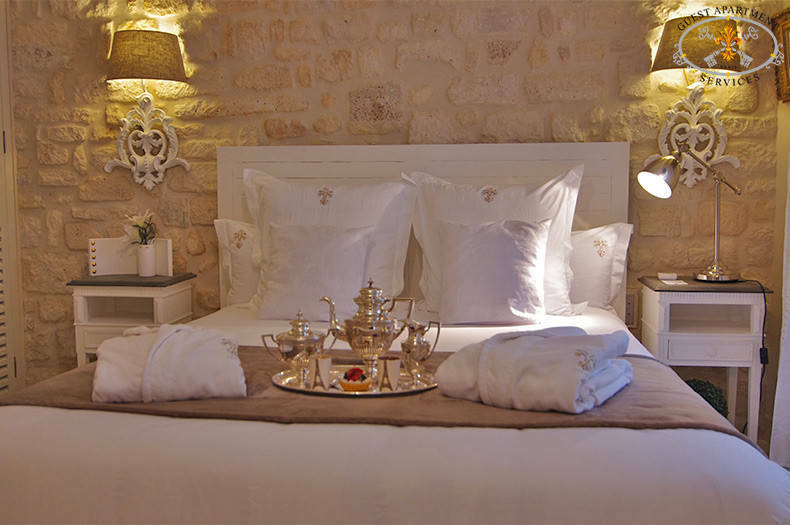 Original 17th century stone, renovated wooden parquet floor, framed engravings and photos decorate the walls. 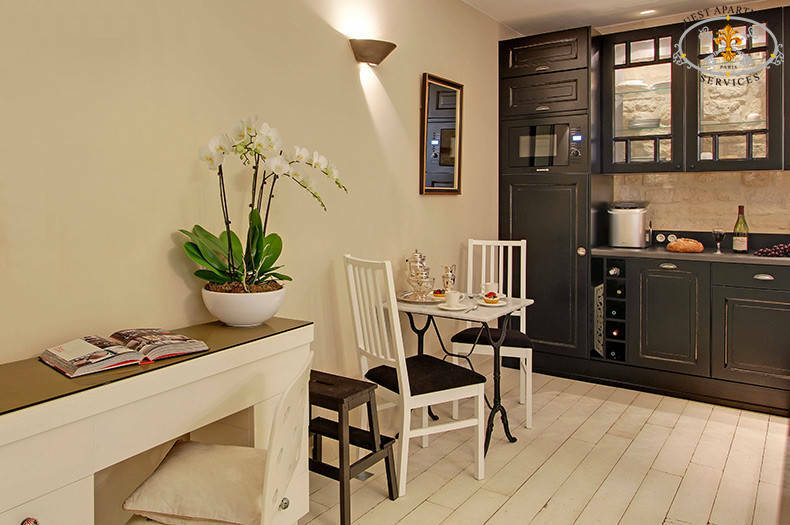 The streamlined kitchen overlooks a tiny grotto of greenery and flowers, and offers a small marble table. 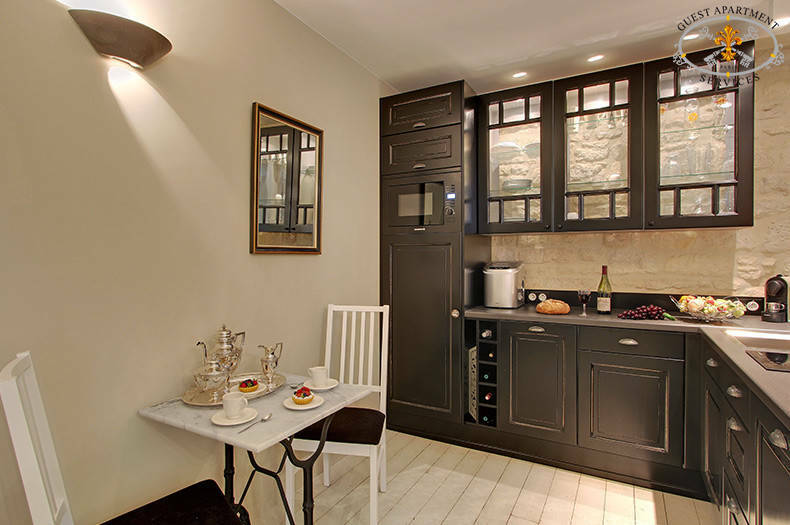 It has all appliances you could need: vitro-ceramic burners, microwave oven (with grill function), dishwasher, refrigerator, Ice maker, Nespresso, electric kettle and toaster. 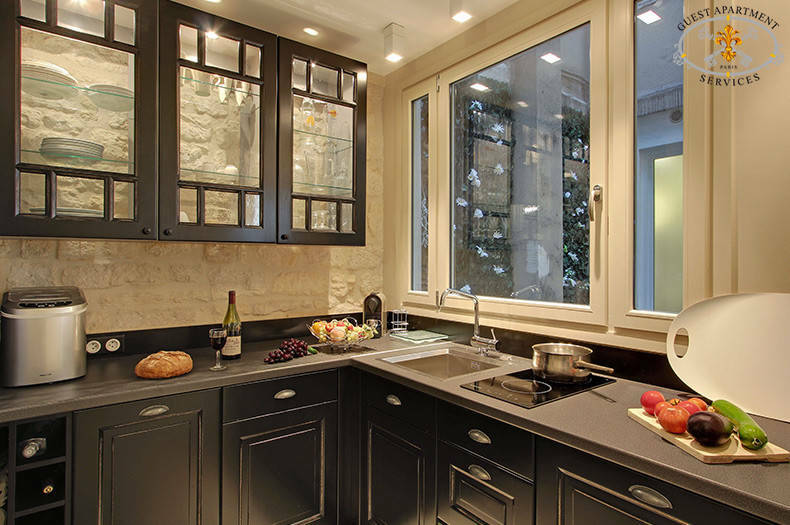 All the necessary utensils, cutlery, dishes and glassware are located in this fully equipped kitchen. A washer/ dryer is also available. 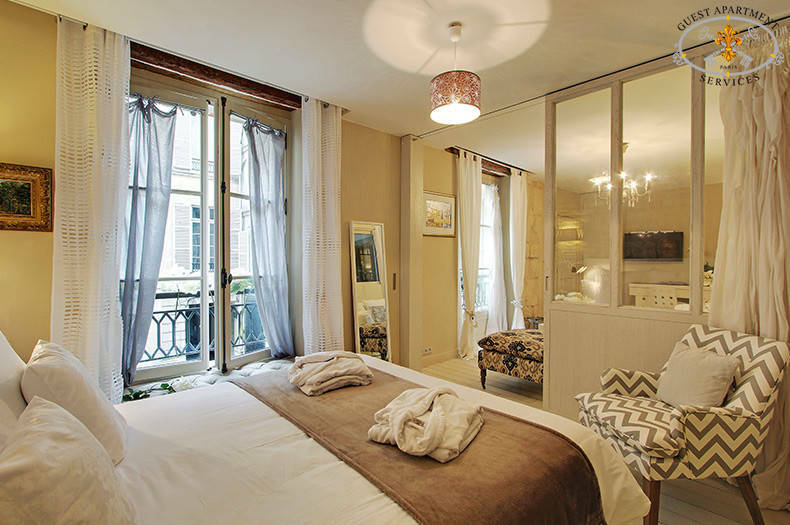 Through glass doors is a sumptuous bedroom with more light cascading in from windows. There is a built in closet with additional storage for clothes. A luxurious bathroom adjoins. 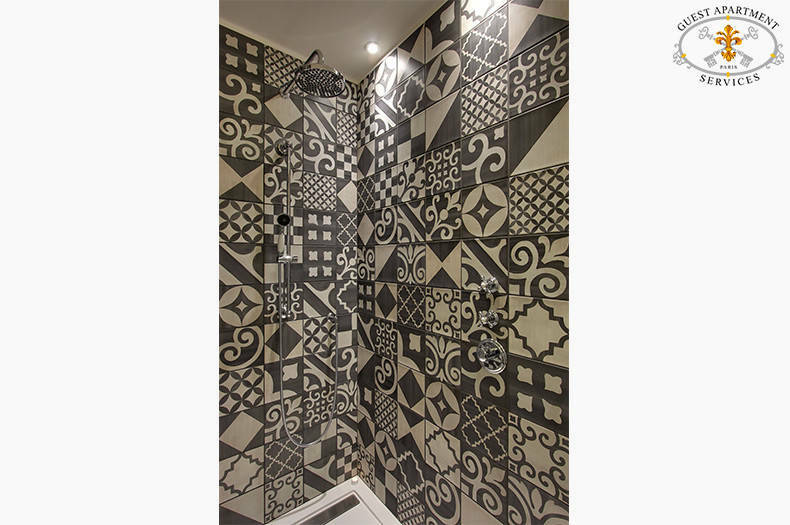 Playful black and white tiles brighten the Italian walk in shower! It offers glass protection, wash basin, toiletries and lit mirror. A hair dryer is present. A safe to store your valuables at your disposal. 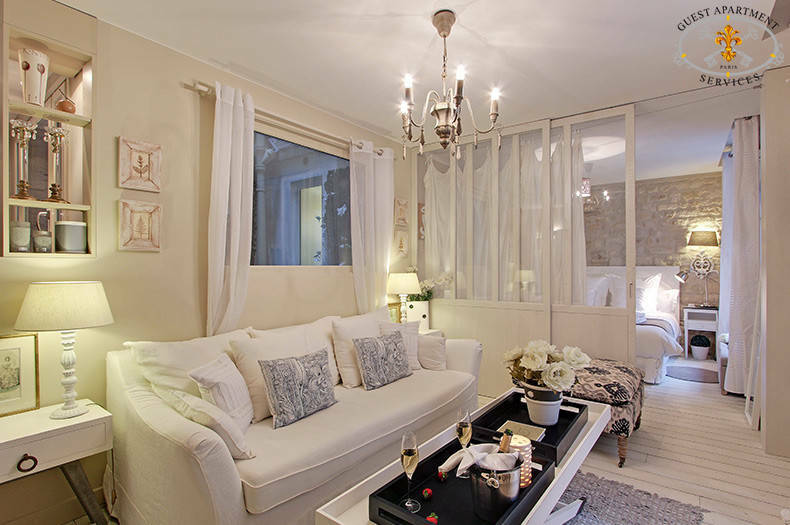 We loved this quaint, beautifully decorated apartment. It had absolutely everything we needed for our Paris stay. Guest Apartment Services were excellent hosts. We’ll definitely return. Thank you for the information. This was our second time staying in one of your apartments, and we thoroughly enjoyed White Orchid. Please especially thank Mr. Marty for his assistance and advice during our visit. 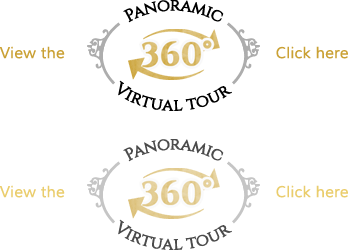 We hope to visit Paris again next year and will definitely contact you for lodging.